3 Bedroom Town House For Sale in Stoke-on-Trent for £137,500. 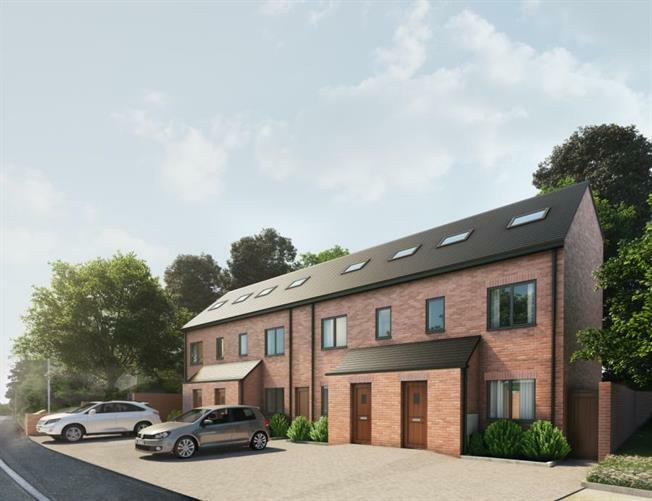 Bridgfords is proud to present an exclusive new build development of only 4, three bedroom townhouses. READY TO MOVE IN! Each individual three storey home enjoys an entrance hall, a well thought out open-plan living space with kitchen, dining and lounge areas, downstairs WC and utility space. To the first floor are two double bedrooms and a modern family bathroom. On the second floor is the third double sized bedroom with en-suite, perfect for families looking for a bit more space. This home also benefits from gas central heating, double glazing, off street parking and gardens to rear of building. Contemporary bathroom suites, with wall and floor tiling and thermostatically controlled shower. Gardens will be seeded due to the time of year when completion will take place. Please note: All dimensions are indicative only and should not be used for ordering furniture, flooring or other fixtures and fittings. Please get in touch with our branch for specific plot details. Help to Buy Equity Loan Move in with just a 5% deposit and 75% mortgage. Those looking to buy with Help to Buy require a 5% deposit as the government will provide up to 20% of the value of the property in an equity loan, allowing buyers to access mortgages of up to the remaining 75%. The equity loan is interest free for the first five years, and can be repaid at any time or when you sell your home. Subject to terms and conditions. Please ask for further details. There is a reservation form to be completed and returned along with the reservation fee of 500, a copy of your photo ID and proof of residency i.e. a utility bill or bank statement (no older than 3 months old). Further details of the buying process and payment option are available upon request. Development images are indicative and may vary. Features and finishes are shown for illustrative purposes only and are not intended to form part of any contract or warranty. Purchasers are advised to check plot specific dimensions and specifications prior to reservation.